Got a passion for singing? 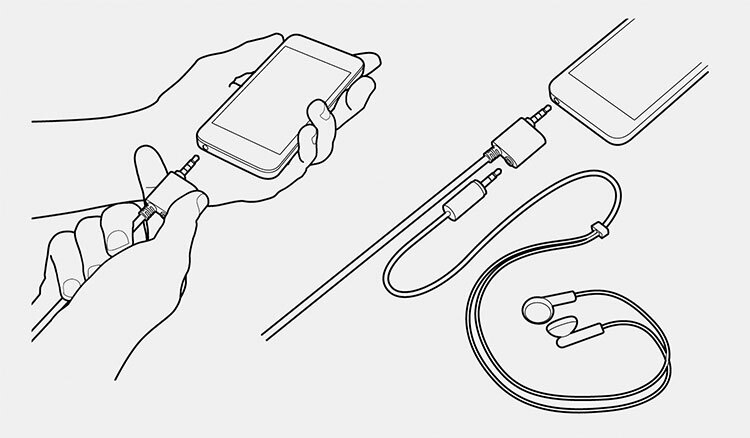 Got an iPhone, iPad, iPod touch or Android device? iRig Voice is a fun and colorful handheld vocal microphone that's optimized to deliver stunning audio quality. It's the perfect companion for all your favorite karaoke and music creation apps — simply plug it in to your device and start singing. iRig Voice features an ergonomic design for hours of comfortable handheld performance, and its shape fits easily into most standard microphone stand clips for stage use. iRig Voice is optimized for vocal frequency range reproduction, it utilizes a compact cardioid pattern for close voice pickup which minimizes feedback when used with speaker systems. It has an on/off slide switch for quick muting of unwanted sound and an oversized strain relief cable end for durable, consistent performance even during high-energy performances. iRig Voice — the perfect way to get started on the path to stardom! iRig Voice operates through the 3.5mm (1/8”) TRRS analog microphone/headphone jack on all devices and provides a built-in headphone through input for connecting headphones for private practice and performance. iRig Voice comes with the free EZ Voice companion apps for iPhone, iPad, iPod touch and Android which allows you to sing along with any song in your device library. Simply import a song into EZ Voice, remove the original vocals in the song by touching the “No Voice” button, add professional effects to your voice like reverb, delay, pitch correction, and sing your heart out. EZ Voice serves up a suite of nine different professional effects including morph and choir effects, pitch correction, EQ, filter, compression/level, chorus, delay and reverb. You can even record your vocal performances in real time and share them. 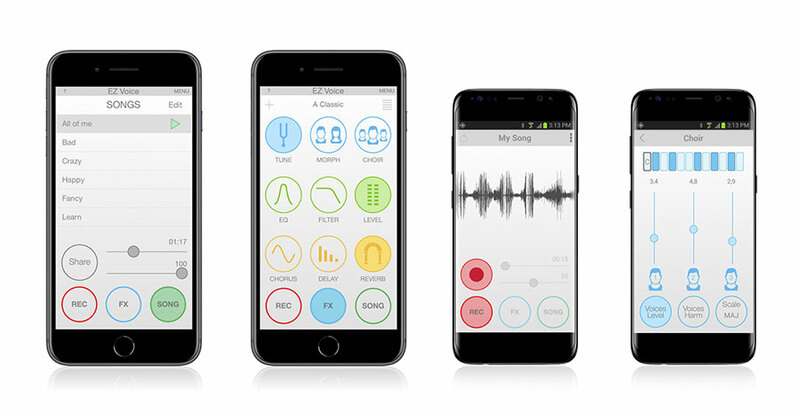 iRig Voice also works with many other iOS and Android apps. See a list of compatible apps here. iRig®, iRig® Voice, VocaLive™, EZ Voice™ are trademarks or registered trademarks property of IK Multimedia Production Srl. All other product names and images, trademarks and artists names are the property of their respective owners, which are in no way associated or affiliated with IK Multimedia. iPhone®, iPod touch®, iPad®, Mac and the Mac logo are trademarks of Apple Computer, Inc., registered in the U.S. and other countries. App Store is a service mark of Apple Inc. Android is a trademark of Google Inc.